RIP, cinematic greats. You will be missed. This list of famous actors and actresses who have died in 2014 is a complete list of those who have gone to the great screen in the sky in 2014. A roster of the celebrity actors who have passed on this year, continuously updated as actors die, including all the actresses who have ODed, the actors who died in accidents, and the personalities who died of natural causes in 2014. The world is a little duller without these talented performers in it to bring us their antics. If you're wondering what famous actors and actresses have died in 2014, this is the place to look. Included are not just Hollywood movie stars and TV personalities, but also thespians who were notable Broadway stars. From child stars to Oscar nominees to scandal-tinged fallen stars, If a notable actor or performer from the Golden Age of cinema to today's movie industry dies this year, they'll sadly be on the list. Each actor's obituary is linked to in their biography below their photo. 2014 actor deaths are complete on this list, but check out Celebrity Deaths 2014 for other cinematic talents and other entertainers and famous people who have left this world. Or see our list of 2019 actor deaths. What actor died today? (Hopefully none!) But if they did. They'll be on this list. Don't be too sad. Every time an actor dies, heaven gets another star. 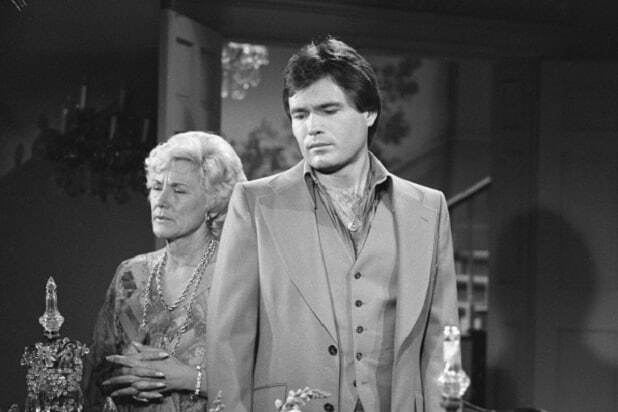 12/30/2014: Best known as Brock Reynolds in CBS's The Young and the Restless, Beau Kazer passed away at the age of 63. Much of Kazer's almost 40 year career was spent on Y&R. He most recently appeared on the daytime soap in 2013. Kazer leaves behind his wife, Sharon Alkus. “The Young and the Restless has lost another of its own… RIP Beau Kazer (Brock) I remember the first time I heard your voice and thought wow! This guy should have been in radio! Then I watched u act and was blown away with how natural and honest your performances always were. God Bless,” costar Daniel Goddard (Cane Ashby) shared on Facebook. 12/31/2014: Edward Herrmann, who played Rory's grandfather on all seven seasons of Gilmore Girls, died at the age of 71. He passed away at a hospital in New York, after battling brain cancer. Hermmann had been in ICU for three and a half weeks before his death. Hermann was also known for his role in Richie Rich. He is survived by his second wife, Star, and three children. 11/11/2014: Carol Ann Susi, best know for playing the voice of Mrs. Wolowitz on the hugely popular CBS sitcom Big Bang Theory, died at the age of 62 after a brief battle with cancer. Although she was never seen on camera on the show, Susi's distinctive voice and humor made her a fan favorite. Executive producer Chuck Lorre, "the Mrs. Wolowitz character became a bit of mystery throughout the show's eight seasons. What was not a mystery, however, was Carol Ann's immense talent and comedic timing. 11/11/2014: Beloved character actor Warren Clarke died at the age of 67, after a 50 year career on stage and screen. Best known to British audiences as the star of long-running police drama Dalziel & Pascoe, Clarke also appeared in BBC One’s acclaimed 2005 adaptation of Bleak House. More recently, he could be seen in Call The Midwife, and filmed his last role (in BBC’s remake of romantic epic Poldark) last year.